Lucifer turned his back on God and a full third of the Host of Heaven joined him in damnation. Now, a few of those damned wretches behold God's Earth again, called forth from their place of torment by the foolish, the greedy or the desperate. Those who summon demons do not go unpunished - God and His servants see to that. But neither do they go unrewarded. 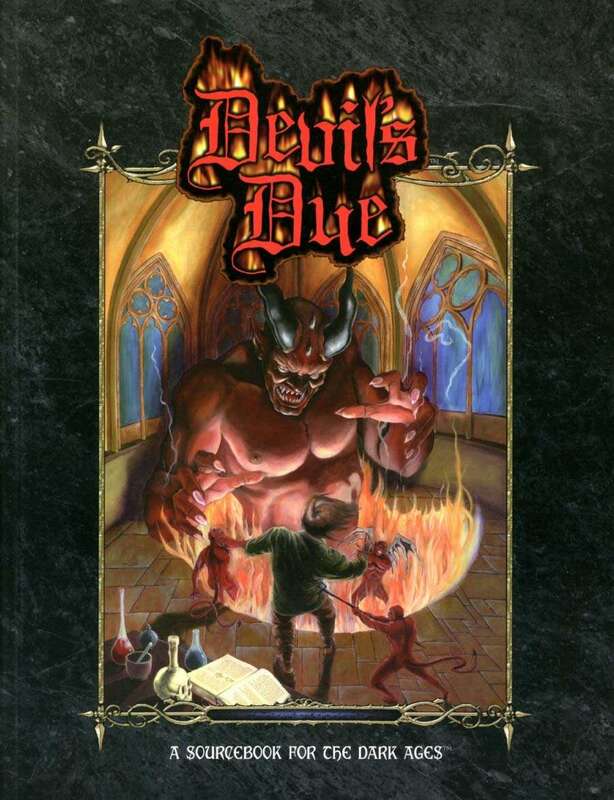 Devil's Due is a sourcebook for the entire Dark Ages line. It provides information about demons and those who worship them, including cults, infernalist spellcasters, and those unfortunate and foolish few who make pacts with the demonic host. Devil's Due offers epic antagonists for your chronicles, and includes complete creation rules for characters with a tenuous grip on their souls. Any idea when this will be a PoD?